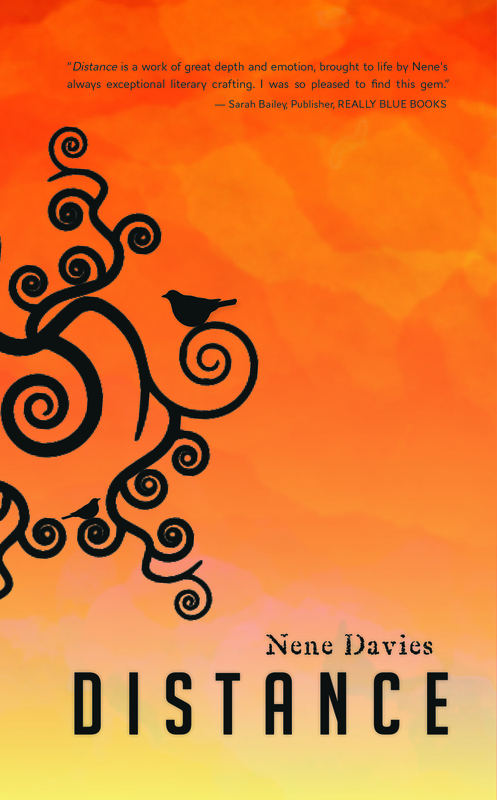 It is my privilege and pleasure to welcome guest author Nene Davies back to my blog. Nene, it’s a while since you guest-blogged about your writing. I know you have a couple of activities in the pipeline and a few successes behind you. Let’s start with what’s new. Please tell us your latest news. Firstly, I’m excited to say that Distance is now available in paperback! Much as I loved having an e-book published, there is nothing quite like a real live book-book. I’m touched at how warmly this new version has been received and I’m currently in the throes of contacting various booksellers to see if anyone would like to stock it! I have a signing day booked, with Dymocks of Carindale Queensland, on 7th June 2014 and have started to approach other bookstores too. Marketing and self-promotion are rather uncomfortable yet necessary hats that authors need to wear in order to spread the word! I’ve finished writing the Distance sequel and I’m hoping to get that published within the next few months. This book is called Further and there will be a third in the series, with the working title of Surfacing. I’ve made a start on Book 3, but to be honest I haven’t really delved into the heart of the story as yet. I’m looking forward to getting back into it! Why did you choose FeedARead as your publisher? An author friend recommended Feedaread to me, as she has had tremendous success with publishing two of her novels with them. 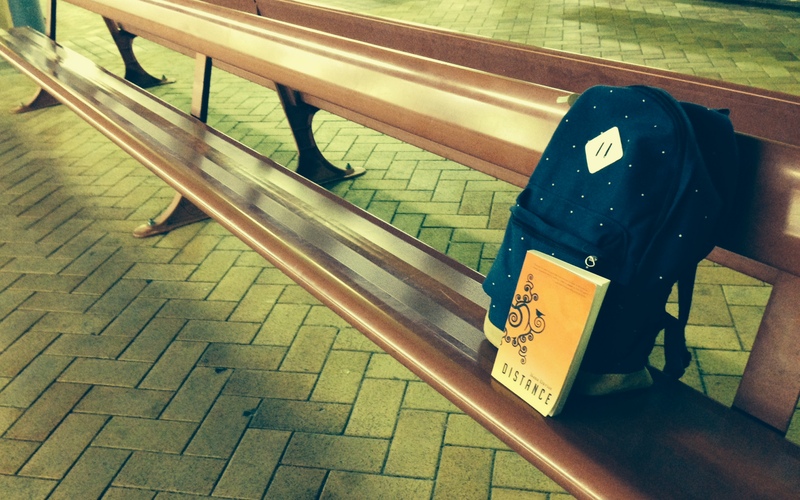 I am absolutely delighted with the paperback version of Distance and really impressed with Feedaread as a whole. Any queries have been answered promptly, the site is easy to navigate and informative and the actual book is of very high quality. What was the most challenging part about getting your book into print? Without doubt, for me the most challenging part was the formatting as that’s definitely not my forte! However, now that the book is actually published, I’m thrilled with how it looks. When I reviewed your e-book Distance, I felt an itch to know what happened next for the Richardson family. At that time did you have a second instalment in mind? Yes, I felt that there was more of the Richardson family story to come and I wanted to focus on middle child Jacob, and grandmother, Helen in particular. The third book will have more to do with the youngest child, Becky. Distance followed the family’s adventures and struggles as they set about emigrating across the world and dealt with the challenges of leaving loved ones behind. Further explores the impact that dementia can have on a close-knit family, set against the backdrop of teenage boundary-testing, finding one’s feet in a new country, keeping a marriage alive – and everything in between. The story in Distance, although about the fictional Richardsons, called on your own family’s experiences of migration to an extent. Does Further follow a similar path? How far along are you with the second volume? The manuscript is complete and I’m now editing. I have my wonderful writer friends to thank for their honest critiques and insightful comments which are helping me to keep up the pace and flow of the story within a realistic framework. I’m stoked with how it’s looking already! Would you think of giving a title to the series? Any ideas? A name would be terrific, but I haven’t come up with one yet! Completing two novels and having a third on the way within a couple of years is quite an achievement. As I know you have an eventful family and social life, I’m wondering how you manage to fit it all in. I have always wanted to write. 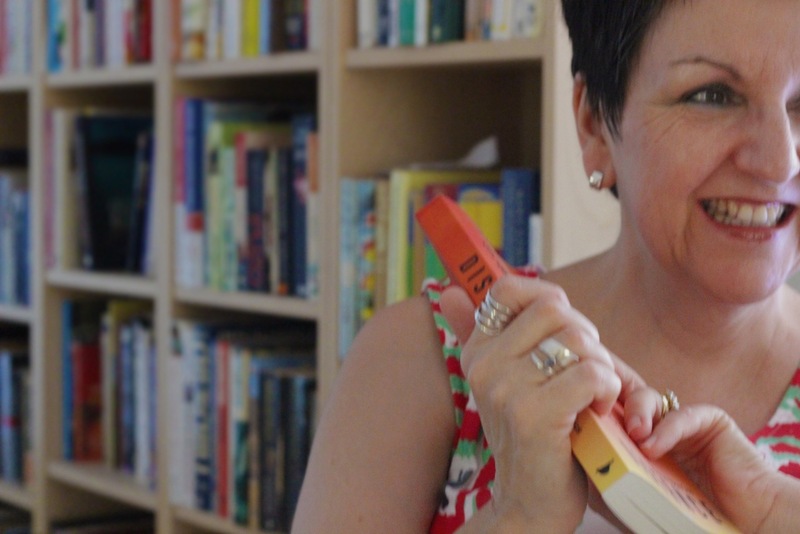 Being able to put ‘author’ in my passport as my occupation has been a long-held dream and it is only in the last few years that I’ve had the time and space to knuckle down and write that novel! I treat writing like a job. I ‘go to work’ in my little office and don’t allow myself to become distracted with things going on in the house around me. Afternoons are my writing time and I’m extremely fortunate to have an amazingly supportive family. Many thanks to Nene for sharing her experiences. Please join me in wishing her a big success when she publishes Further, the second book of the series. I look forward to including it on my bookshelf very soon. You can find Nene’s blog on her website http://www.nenedavies.com and her book on Amazon http://amzn.to/1jzE0Wd. Distance is also stocked by all major online booksellers. The second novel in The Long Shadows Series, Present Tense by Winfreda Donald, will by available on Smashwords from 16 December. Do take a look at the site, and the extract. I’d love to hear from readers. Freya recently married Reg Prentiss in Scotland, and they arrive in Australia to be met by Reg’s father before a family dinner with the Prentiss’s and Freya’s sister Nessie and her husband Brad. Freya chided herself. She needed to think forward, not backward – to prepare for meeting her new family. She stopped herself from digging Reg in the ribs. How little she knew; but a loaded sleeping plane wasn’t the place to garner the Prentiss family history. And he knew zilch about her family. Freya struggled to keep track of the father-son conversation, almost overcome by nostalgia at the whiff of the subtropics that laced through exhaust fumes and the noise of revving buses, taxis and cars. With a deep sigh she drank in the dry warm air and the vastness of a totally blue sky. The special Australian light she’d missed embraced her. She was home. When the car stopped briefly for the ironwork security gates to slide apart, it took a few seconds for Freya to realise they were at Reg’s family home. He’d said they had a big place, but she was unprepared for the obvious affluence. The car purred along the winding drive with its honour guard of conical dark green pines, to circle a mini-roundabout, spectacular with a profusion of purple and white agapanthus surrounding a stand of frangipani, luxuriant with creamy blossom. Nessie was the centre of attention, lovelier than ever in silver-grey silk with a faint turquoise feather pattern that set off her dark hair and olive complexion. Muzzy-headed, Freya loosened up, observed, and was able to withdraw unobtrusively. The three men paid homage to Ness with flattering remarks and repeated glances. Ruby seemed mesmerised. While supposing Ness was used to the ritual, Freya’s keen eye detected the tension around her sister’s jaw and speculated that she and Brad were about to embark or were already on, the IVF merry-go-round. Her heart clenched for them. Two of her Scots colleagues had found the process daunting and they’d been insiders with nursing and medical knowledge. 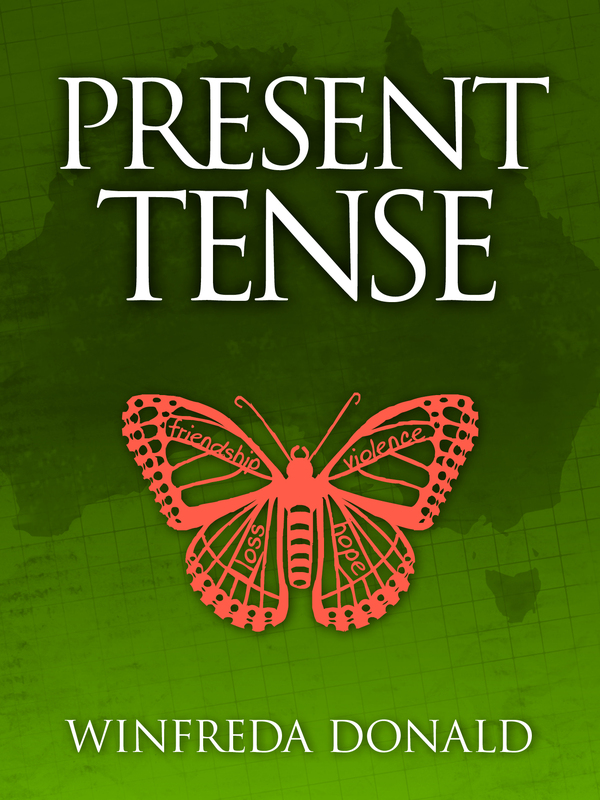 Present Tense will be available in paperback early in 2014.